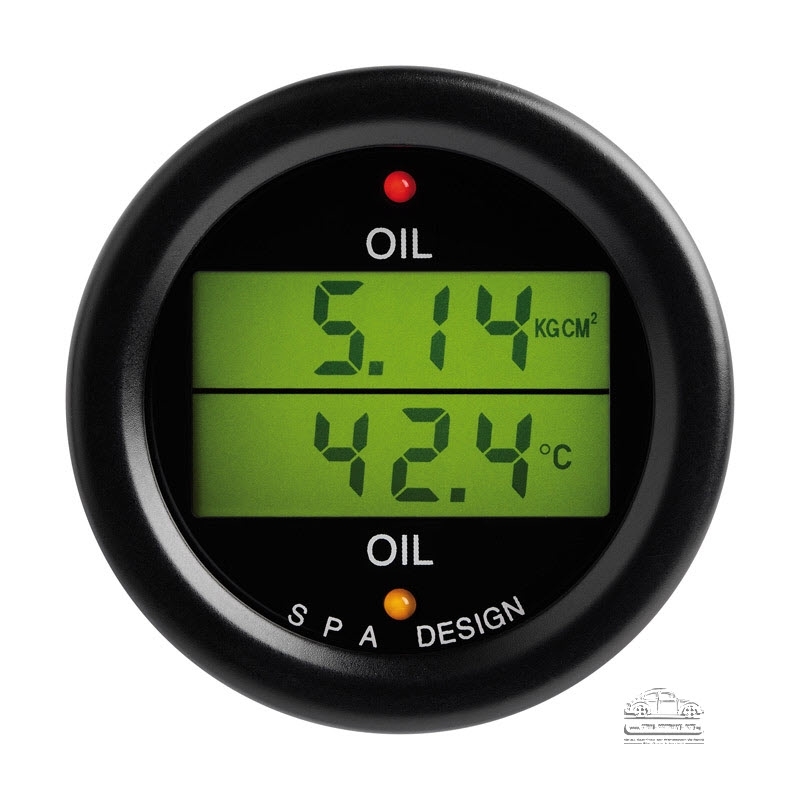 A high quality dual scale digital gauge which displays oil pressure and volts. 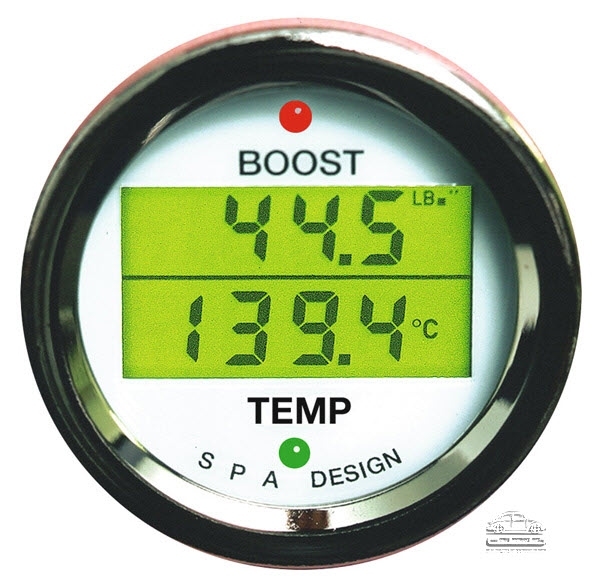 The gauge is microprocessor controlled to give excellent levels of performance and accuracy and is supplied with all sensors and instructions needed to install and operate. 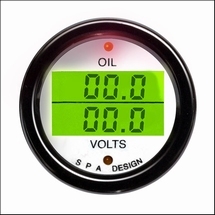 A switchable backlight gives the option of green, red, amber, blue, magenta, cyan and white illumination colours. Ideal for colour coding particular display types or simply to match the cockpit colour ways. Available in black or white dial face with black or chrome bezel.